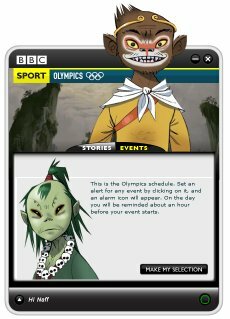 Tried the BBC’s AIR application for the Olympics. It has three skins – yes, they are all that bad. Adobe is doing well in getting AIR apps out there; but I’m still not seeing many that are worth installing. Previous PostSilverlight’s big Olympic moment – but not in the UKNext PostWill anyone untangle the nofollow mess?